Audio-sharing platform SoundCloud is introducing ads for the first time ever, in line with launching a new program for its content creators that allows them to make money on the platform. 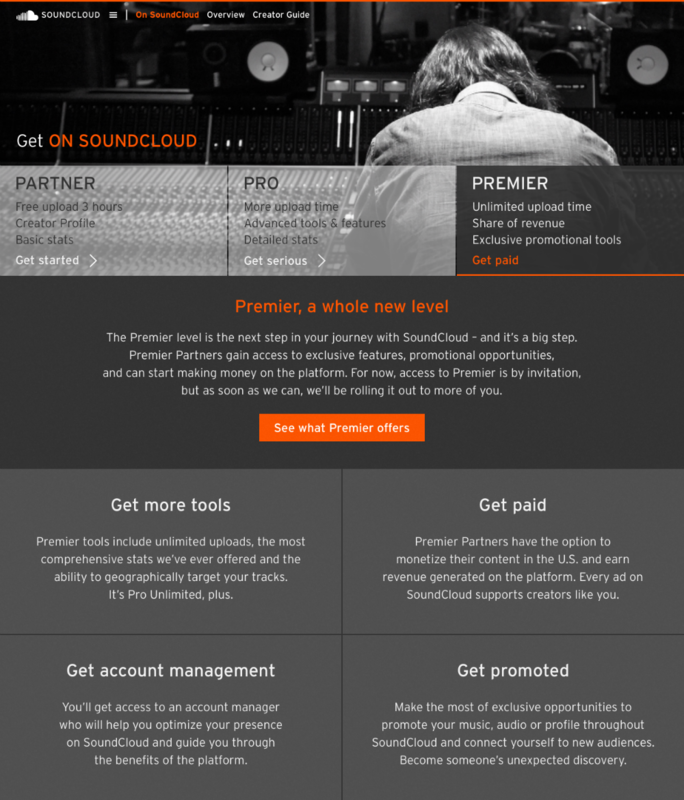 The new creator partner program, On SoundCloud, has three tiers: Partner, Pro and Premier. What’s new and interesting is the Premier tier, which now lets creators make money from their tracks through advertising — but only when the content is played in the US. Revenue will be shared between SoundCloud and the creator involved. At launch, creators who want to join the Premier level can only get in via an invitation. Meanwhile, On SoundCloud’s Partner tier is free and lets you share your first track, receive feedback and access basic stats. The Pro level is a paid offering with more upload time than the lowest tier and detailed stats. SoundCloud has been working on growing its audience of listeners (as opposed to content creators) — in June this year, it revamped its iOS app in a bid to get users to listen to more audio, while in May, it unveiled a website redesign. The introduction of ads could be annoying to some listeners, but with so many music streaming services now supported by ads, SoundCloud is just the latest to jump onto the bandwagon. Interestingly enough, close competitor MixCloud just introduced some paid features this week for the first time, one of which lets listeners pay to remove ads. SoundCloud community manager Jane Shin says that the company will also be introducing a new subscription service in the “coming months” to let listeners opt out of ads, so stay tuned for that.